Performance and fuel economy specifications further improved – Real life fuel consumptionreaches small-car level – World’s first production car with innovative laser light technology. With the completion of the development work and final preparations for production at the BMW Group plant in Leipzig, the launch of the BMW i8 approaches its peak. Delivery of the first customer cars will start in June 2014, beginning with the main European markets. Beforehand, special public events will be held in various regions all over the world to meet the enormous interest in the BMW i8. For this purpose BMW i agents will be equipped with separate demonstration vehicles. The start of series production of customer vehicles will commence in April. 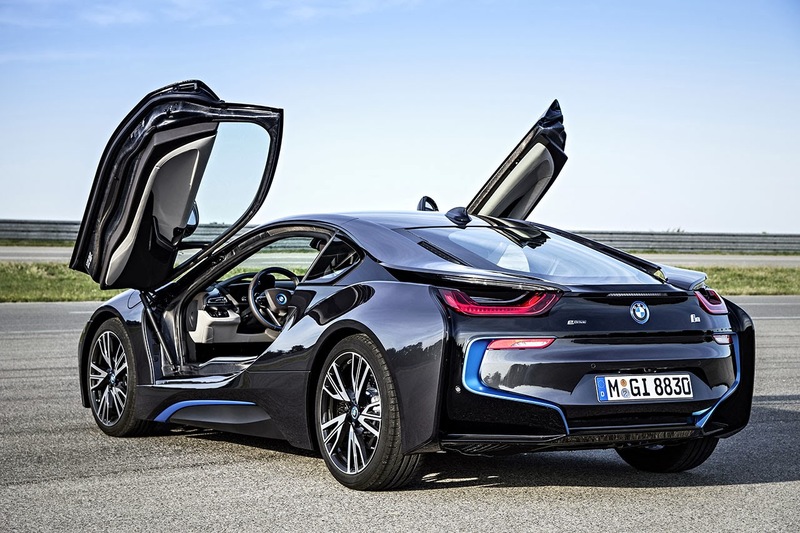 Customers have already been able to place pre-orders for the BMW i8 in all major markets since autumn 2013. 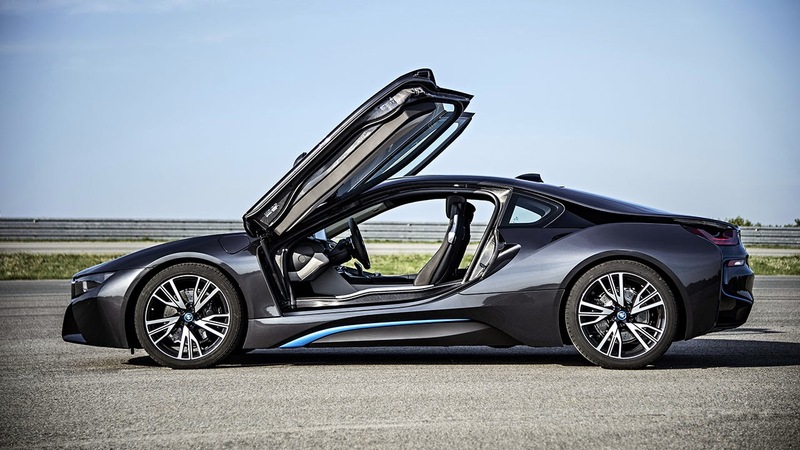 However, demand for the BMW i8 is already exceeding the planned production volume during ramp-up. In parallel to the completion of the statutory type approval the BMW engineers were also able to achieve a further improvement of key driving performance and fuel consumption data. Thanks to its novel powertrain concept BMW eDrive in plug-in hybrid configuration, the i8 combines a 0–100 km/h (62 mph) sprint time of 4.4 seconds with an EU test cycle average fuel consumption of 2.1 litres/100 km (134.5 mpg imp) and CO2 emissions of 49 g/km. The related electricity consumption was measured at 11.9 kWh per 100 km . Although the results achieved in the EU test cycle allow for quick comparisons with other vehicles and despite their relevance ​​for a favorable taxation in many countries, the BMW i8 engineers hat a particular focus on low fuel consumption in real life. In typical everyday commuting, with the battery fully charged at the beginning, the BMW i8 can return a fuel consumption below 5 litres/100 km (more than 56 mpg imp) around town. If the commute includes extra-urban or motorway driving less than 7 litres (more than 40 mpg imp) are achievable.. Even in longer-distance operation at higher speeds, drivers can keep their average fuel consumption below 8 litres/100 km (more than 35 mpg imp). Overall, the fuel consumption of the plug-in hybrid model therefore works out around 50 per cent better than that of conventionally powered sports car models. World’s first production car with laser light. Introduction of the optional BMW laser headlights is scheduled for autumn 2014, when the BMW i8 will become the world’s first production car to offer this innovative lighting technology. 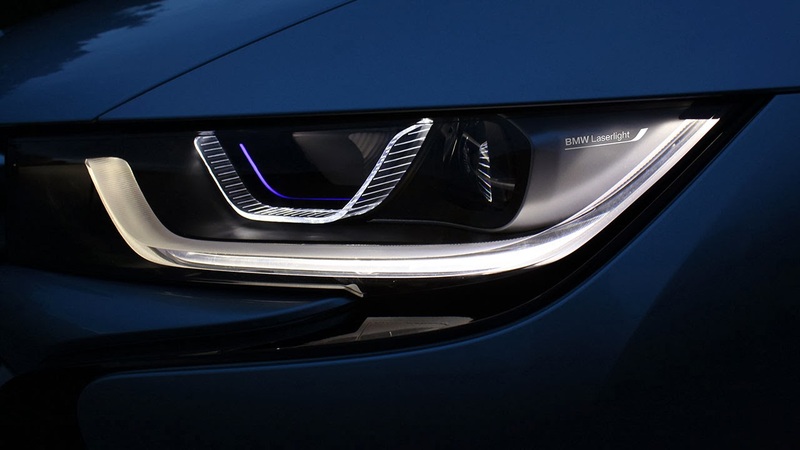 BMW laser headlights are around 30 per cent more energy-efficient than the BMW i8’s standard LED headlights and provide considerably more powerful road illumination, with a range of up to 600 metres. Highly concentrated beams of light from high-performance laser diodes act on a fluorescent phosphor material inside the headlight, which projects a sharply focused beam of light onto the road. The laser headlights produce a light similar to natural daylight and are therefore always easy on the eye. BMW eDrive: Sports car powertrain of the future. The BMW i8’s plug-in hybrid system comprises a 170 kW/231 hp, 320 Nm (236 lb-ft) three-cylinder petrol engine with BMW TwinPower Turbo technology and a 96 kW/131 hp, 250 Nm (184 lb-ft) hybrid synchronous electric motor. The BMW eDrive system also includes a lithium-ion high-voltage battery (with a usable capacity of 5,2 kWh) and intelligent energy management that uses the combined output of 266 kW/362 hp to provide breathtaking performance and maximum efficiency, while always taking into account the driving situation and driver requirements. The excellent balance between driving pleasure and fuel economy is aided by a low vehicle weight of 1,485 kg (DIN kerb weight) and an unusually good drag coefficient (Cd) for a sports car of 0.26. In zero-emission all-electric mode, the BMW i8 has a top speed of 120 km/h (75 mph) and a range of 37 kilometres (23 miles) within the EU test cycle. Depending on whether the plug-in hybrid sports car’s lithium-ion battery is recharged at a household power socket or BMW i Wallbox, or at a public charging station, charging times range from less than two up to three hours. 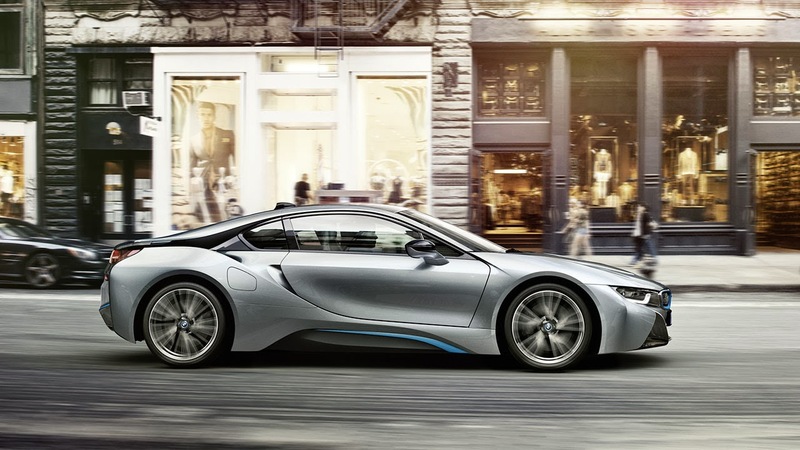 In Sport mode the BMW i8 offers mid-range acceleration from 80 to 120 km/h (50 to 75 mph) in 2.6 seconds. The electronically governed top speed is 250 km/h (155 mph).